"I'd rather have a root canal!" is what people say to protest an experience they find very distasteful. This common endodontic procedure has retained its iconic status as the standard by which other unpleasant experiences are measured. The expression lives on in our language, but our attitudes have advanced. In a recent survey, 78% of the American adults polled said they actually would prefer a root canal – to the flu! Root canal therapy has been done for centuries. The first specialized root canal dental tool was created in 1838, from a watch spring. The rest of the 19th Century dentist’s toolbox was about that primitive, too. Anesthesia as we know it was not around at all. Dentistry hurt. Root canal therapy hurt a lot. It doesn’t anymore. The last few decades, especially, have seen tremendous improvements in precision dental tools, in anesthesia, and in technique. And yet, many people are still in avoidance mode. If you can accept that it won't hurt, perhaps you'll be open to some more clarity. Read on. Root canals are hollow spaces inside the teeth, containing nerves, blood vessels, and soft tissues which together are called the pulp. In a healthy tooth the pulp is isolated from the outer world by the enamel and dentin layers enclosing it, but when decay or injury opens an entry, bacteria can invade and infect the pulp. That’s the condition root canal therapy addresses. The endodontic (inside the tooth) part of the procedure involves removing the infected pulp, cleaning, decontaminating, and smoothing the hollow space, and then filling it. The decay or injury that exposed the root canal to infection can then be remedied with conventional dental treatment, usually by installing a crown. An infected root canal is bad news, to say the least. Three considerations compel the decision to get prompt and effective professional attention to it. - First, you can’t cure it yourself. - Second, it will get worse, not better. It won’t go away. It won’t stay the same. - Third, after getting worse for a long enough time, it will become very bad indeed. How bad? Well, in addition to symptoms like foul odors, swelling, and even fever, and excruciating pain that may appear quite suddenly, you may well lose the tooth. The swelling can spread to your face and neck. Pus may ooze from your gum. The infection can spread through your bloodstream to other organs in your body. In short, an infected root canal should be regarded as seriously as an infection in any other part of the body, whether or not it causes immediate discomfort. It does not bode well for the future. It needs to be treated. Fortunately, treatment is usually successful. Why, then, does the simple logic of the situation not get everyone to seek prompt diagnosis and treatment of root canal infections? Calm minds may think first of the cost. Root canal therapy is not inexpensive. However, as noted earlier, the problem only gets worse over time, and the worse it gets, the more costly it's likely to be to treat it. The economic logic steers us to acting sooner, not later. Cost issues aside, the progress of this condition is often slow enough and subtle enough to encourage procrastination and self-deception. Years may pass before it turns into a dental emergency you cannot ignore. The crisis likely comes after habitually dismissing mild or transient early symptoms. Coupled with exposure to the many anxiety-provoking memes about the root canal procedure itself, it’s all too easy to put it off until some other time. Let’s review and debunk some of the myths that so often keep people from the care they need. Let's put the pain myth to bed once and for all. The root canal procedure is not painful. It hasn't been for decades now. In fact, if it's pain that drives you (finally!) to the dentist, you can expect relief from the treatment. Any soreness in the hours and days afterward is usually relieved by over-the-counter remedies, as recommended by your provider. A surprising number of procrastinators have a Plan B which calls for having the problem tooth pulled if it starts to hurt too much or simply becomes too much of a problem. This is not a good strategy at all. It’s probably a reaction to the belief that root canal treatment requires many long appointments when in reality it's nearly always completed in one or two. In any case, extracting an infected tooth doesn't take long but it leaves you with a choice between replacing it with a bridge or an implant, or doing nothing and having the rest of your teeth rearrange themselves. The first option means… more appointments and the second invites a troubled dental future with a gap-tooth smile and…more appointments. We noted earlier that the longer a root canal infection festers, the more costly and complex the treatment is likely to become. It follows that the "when" of endodontic intervention is "as soon as possible". That means early detection, which in turn means regular dental checkups. In the early stages of infection, a dental professional is often able to identify signs before the patient feels and reports any symptoms. The dentist can then follow up with x-rays and other specialized tests that confirm the diagnosis and locate the problem tooth or teeth. Waiting until you're in pain generally means you've waited too long, so it's not wise to rely on that symptom to get you to seek care. The pain caused by root canal infection can become very intense, very quickly, and unscientific observation suggests that this usually happens in an airliner over the middle of the Pacific or in some other situation just as remote from help! 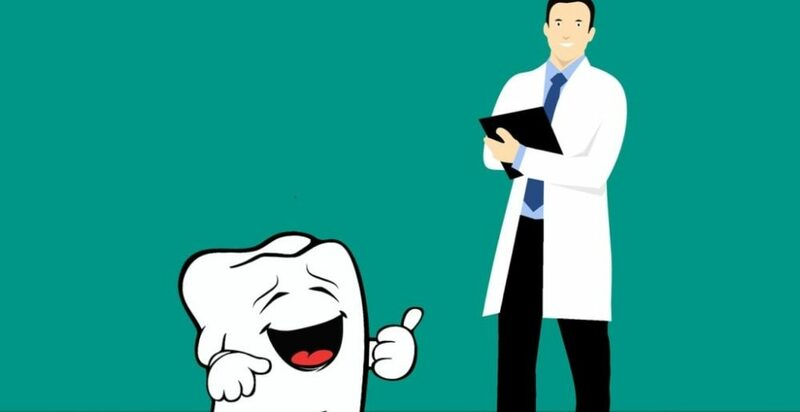 It’s a good idea, nevertheless, to learn the milder early signs and symptoms and to contact your dentist if you notice any of these between regular checkups. Sensitivity to heat and cold, discomfort or pain when chewing, a tooth becoming darker than its neighbors, redness or swelling of the gum around a particular tooth – all of these are worth reporting as soon as you become aware. Root canal infection is the endgame for the bacteria that trouble our teeth and gums. About 15 million endodontic treatments each year are the price we pay for allowing these germs to get the better of us. Disciplined home hygiene and more regularity in getting dental checkups could shrink that number a lot, but never to zero. Until some as-yet-unseen health sciences, innovation revolutionizes dental health, root canal infection will always be with us. For now, when our best efforts at prevention are not enough, our responsibility is to catch it early and treat it quickly. It's the root thing to do.